This work is ongoing. I will be updating upon completion of my thesis. I'm happy to discuss further in person. For my Master of Design thesis at Carnegie Mellon I’m investigating the relationship between the tech industry and the communities around them. While underserved communities of color are being pushed out of urban centers by rising costs of living, tech firms are moving in. As a result, these two communities may find themselves in close physical proximity, while socially, culturally, and economically separated. Despite this proximity, the tech industry lacks diversity in its workforce. Though Black and Latinx Americans make up ~28% of the US workforce, they only make up ~15% of the high tech workforce. And among top tech firms the numbers are much lower (4% at Google, 4% at Facebook, 5.6% at Uber, 6.1% at Amazon). Given that exposure to an industry throughout childhood increases the likelihood of one entering that industry, forming a positive relationship between the tech industry and high school students in underserved communities of color has the potential to create valuable career opportunities for students, while also beginning to address the lack of diversity in the industry and driving innovation. I’ve conducted robust literature review, case studies, exploratory research, and generative research in order to better understand the problem space and co-create a design solution. This research was fundamental to my design process. As I update this page I will go into depth further about how the research informed my design, but these are three key insights that guided the final outcome. A key component of early career development is the space for low pressure, open ended exploration of topics. This exploration allows one to look both inward and outward - inward in evaluating one’s own interests and proficiencies and outward in expanding the universe of possible career paths. Given the current lack of industry awareness amongst high school students, it will be key to start with exploration. Many tech workers are aware not only of the diversity problems facing the industry, but larger social issues of equity and representation. While this awareness makes employees strong allies in the quest for diversity, largely, they are not currently taking personal action due to a perceived barrier of entry. If able to create a system that lowers that barrier, there will be a wellspring of workers willing to help. Fundamental to the mentor/mentee relationship is a personal, human connection. Tech workers are energized by the prospect of sharing stories and lived experience with their mentee. This human connection overshadows the transactional nature of career-based mentorship. Building a platform that allows for this connection is a necessary first step before approaching issues of career planning and skill building. 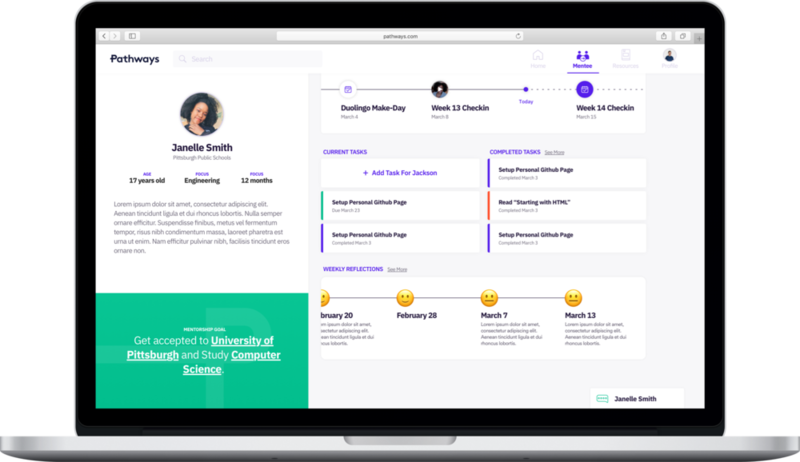 I am in the process of designing Pathways, a digital-first mentorship program that makes it easy for tech workers to engage in mentorship and provides the resources and support for students of color to explore careers in tech. 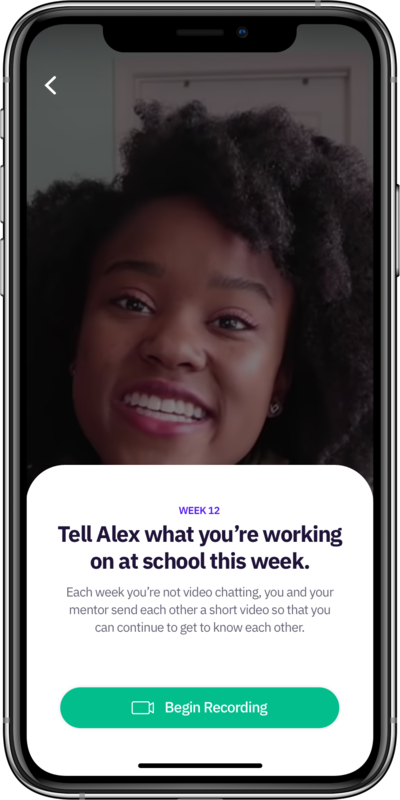 A digital mentorship platform makes it easy to engage in meaningful, humanistic mentorship, and a network of Pathways communities centers provide the tools, support, and dialogue to support that process.